BEIJING — China will join erstwhile rival Japan as well as South Korea this week at a long-delayed summit to boost trade cooperation against the threat of President Donald Trump’s protectionist policies. China and Japan, Asia’s two largest economies, have been trying to reset ties after years of increasingly bitter disputes over a group of uninhabited islets in the East China Sea and the legacy of Japan’s invasion of China before and during World War II. Japanese Prime Minister Shinzo Abe will host Chinese Premier Li Keqiang and South Korean President Moon Jae-in in Tokyo on Wednesday. Summits bringing the three countries together were originally planned as an annual event but the most recent one was held in 2015. The gathering will also be the first visit of a Chinese premier to Japan since 2011. 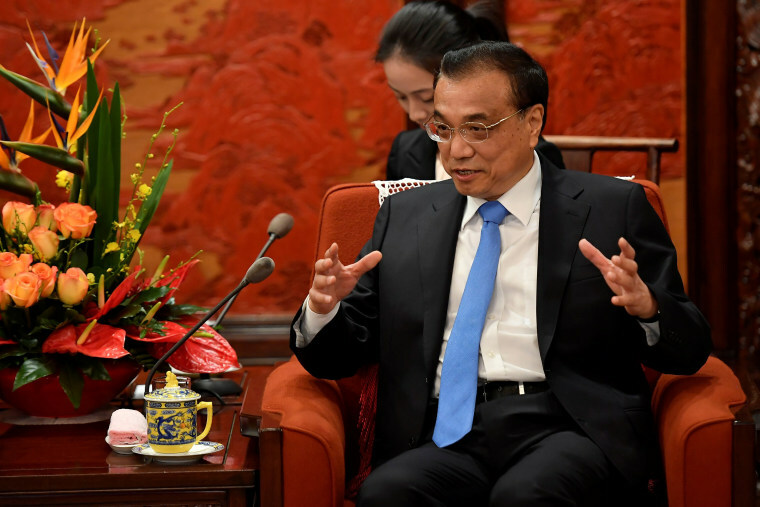 Li is number two in China’s hierarchy. It is also more than six years since a South Korean president made a trip to Tokyo. The countries face the common threat of tariffs imposed by the Trump administration on a range of products from washing machines and solar panels to aluminum and steel. Fears of a China-U.S. trade war grew after Washington reportedly demanded in negotiations last week that Beijing cut its U.S. trade deficit by a whopping $200 billion by 2020. China, South Korea and Japan also have huge stakes in each other’s markets and discussions about a potential regional free trade agreement continue. 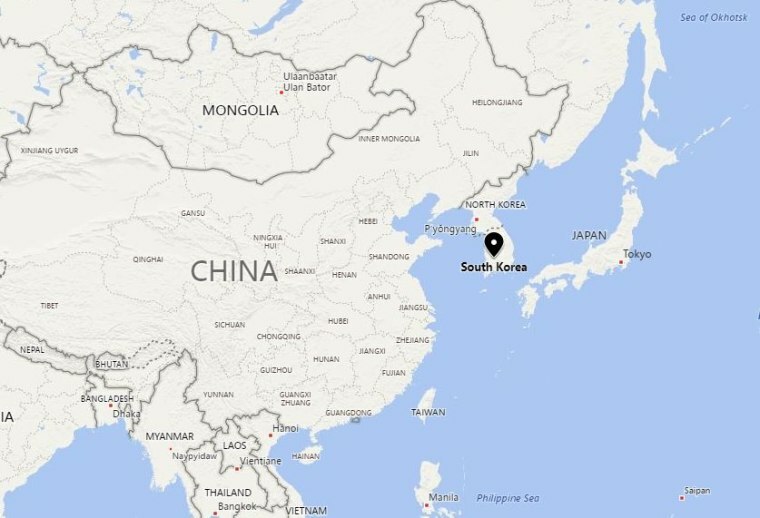 China has become the largest trading partner for both Seoul and Tokyo. Kong Xuanyou, China’s vice foreign minister, said there would be “no off-limit areas” for discussion during Li’s visit. Kong added that while the easing of geopolitical tensions on the Korean Peninsula would be discussed, developing “regional cooperation” will be the main topic at the summit. North and South Korea last month pledged to formally end the Korean War — an armistice, as opposed to a peace treaty, was signed to stop the fighting in 1953. The neighbors also agreed to the “complete denuclearization” of the Korean Peninsula. Kim Hyun Chui, a top South Korean presidential adviser, told reporters last week the Tokyo meeting was aimed at trying to “establish regularity” in cooperation. The three leaders will “share the achievements of the inter-Korea summit talks and discuss ways Japan and China can cooperate to establish lasting peace and complete denuclearization on the Korean Peninsula,” he added. Relations between China and Japan nosedived and dangerous maritime skirmishes ensued after Tokyo moved in 2012 to “nationalize” a group of uninhabited islands that are also claimed by China. Controversy about Japan’s wartime atrocities also lingers. But there have recently been signs of reconciliation between the historic rivals. Beijing-Seoul ties were also damaged by South Korea’s 2016 decision to install the U.S. THAAD missile defense system. While it is aimed at preventing an attack by North Korea, China claimed the move compromised its own security. A Chinese unofficial boycott of South Korean pop culture, tourism, supermarkets and other industries has resulted in billions of dollars of lost revenues. As summit host, Abe will have an opportunity to reposition himself at the center of regional politics after apparently having been left out of major decisions in the recent round of North Korea diplomacy. He hewed closely to America’s hard-line “maximum pressure” approach to Pyongyang, only to be surprised by Trump’s abrupt decision to accept the invitation to talk to North Korean leader Kim Jong Un. For China, the summit is a rare opening to push for its “neighborhood diplomacy,” a security strategy that prioritizes stable relations with neighboring countries. “A good neighbor is more precious than gold,” President Xi Jinping once declared in Seoul. 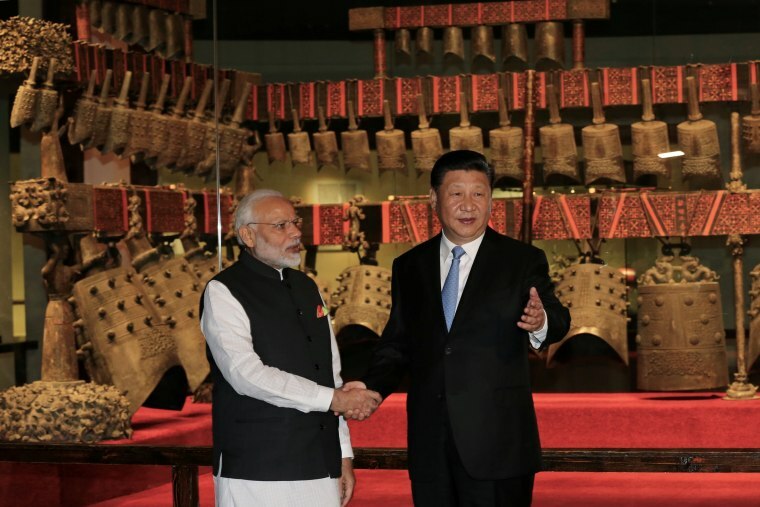 A recent summit between Xi and Indian Prime Minister Narendra Modi reset China-India ties following two years of border tensions, and the Tokyo summit is another chance for Beijing to improve its diplomatic maneuver room in the face of a potential trade war with Washington. If Li’s meetings in Tokyo improve relations, it will “likely result” in official visits involving Xi and the Japanese leader, according to Cheng, the Renmin University professor. Li will also meet Emperor Akihito, who is due to abdicate next year. And to further help Li’s mission, China is engaging in “bird diplomacy” and donating a pair of crested ibises to Japan. Japanese-born ibises became extinct in 2003. But Tong Zhao, a fellow specializing in strategic security issues at Carnegie–Tsinghua Center for Global Policy in Beijing, said China’s “trilateral diplomacy” may be a response to White House policies that have nothing to do with trade. Eric Baculinao reported from Beijing. Stella Kim contributed reporting from Seoul, South Korea. Next article Trump wants to wring a 'better deal' from Iran. Here's why that's so unlikely. Brexit chaos: What happens next for British PM Theresa May?